OUR CREDENTIALS INCLUDE: 1. California State License General Contractor (Lic-B). 2. 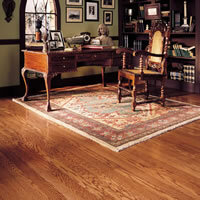 California license certified flooring and floor covering contractor. (Lic C-15). 3. Fully insured and bonded complete with workers compensation and liability insurance. 4. Member of Home Builders Association, Better Business Bureau, San Ramon Chamber of Commerce, National Floor Covering Association, and much more.